This page is currently UNDER CONSTRUCTION and a temporary location of links for my nonprofit outboard service information website..
BLLL Duluth, MN Antique Outboard Sales and Service presents "Do It Yourself" Antique Outboard repairs. This site is being revamped 11/10/11. WEBRING PAGES LAST UPDATED: April 17, 2000!! 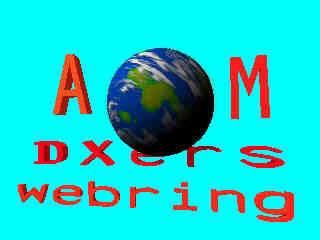 I am now reconstructing this website to contain some information about my hobbies of AM, FM, TV, SW and PIRATE DX. I am also constructin webbased sources for antique outboard motors here. Time for AM DXing again!! NO LONGER A WEBRING SITE! I WILL LIST INFO ON DXING HERE AND KEEP CURRENT LINKS! I will gladly link outboard motor associated pages here on a separate page. Check out recent OLD DX CONDITIONS in Duluth, MN area. I will from time to time update the conditions page as time permits. I just got back into DXing more for the late 2011 season. Any interests in FM, TV, SW, HAM, and PIRATE radio WELCOME!